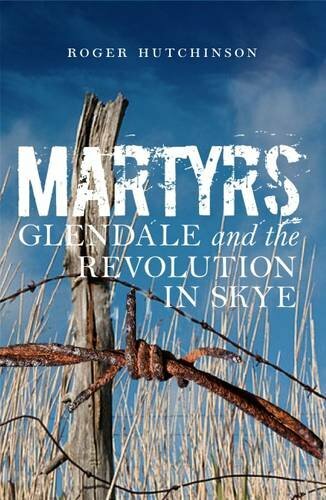 In the 1830s and 1840s the district of Glendale on the island of Skye was swamped by immigrants cleared from other north Skye estates. The resultant overcrowding and over-use of land caused simmering discontent - not against the incomers, but against the landowners, who regarded their tenants as no more than chattels. This book is a definitive account of what happened when the powder-keg erupted and a full-scale land-war ensued. Pitched battles with police, factors and bailiffs, military intervention, arrests, trials, imprisonment and the personal intervention of the Prime Minister were to have huge consequences for crofters all over the Highlands, who, ultimately, were the victors. At the heart of the rising was a man named John MacPherson of Lower Milovaig in Glendale, a courageous, charismatic and articulate crofter who was twice imprisoned for leading a rebellion against a system which kept all but the wealthiest in a state of bitter servitude. MacPherson quickly became known as 'the Glendale Martyr'.